My best-friend made a special request for some of my Banana Nut Bread with Chocolate Chips. And not being one to disappoint, and because it sounded delicious to me also, I was happy to oblige. This is such an easy and quick bread to make. It’s based on an old Amish recipe and is absolutely delicious. This is great for breakfast, dessert or a snack. Enjoy! 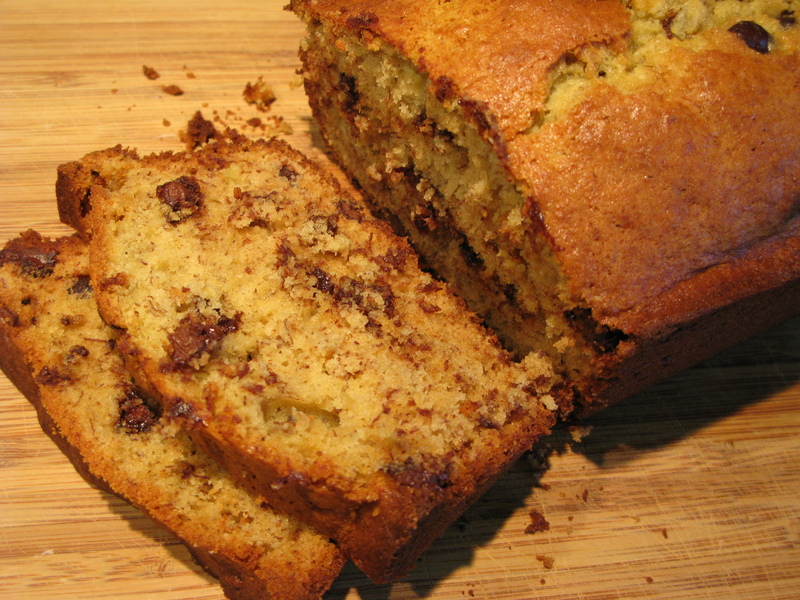 Hands-down my favorite sweet bread…especially when chocolate chips are involved! Well… I can do this. i am going to try is as soon as i get home.